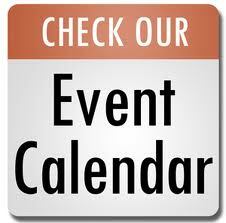 Oxnard Public Library Presents: 21 Miles of Scenic Beauty…and then Oxnard: Counterstories and Testimonies. Added by Carol Miller on November 27, 2018. 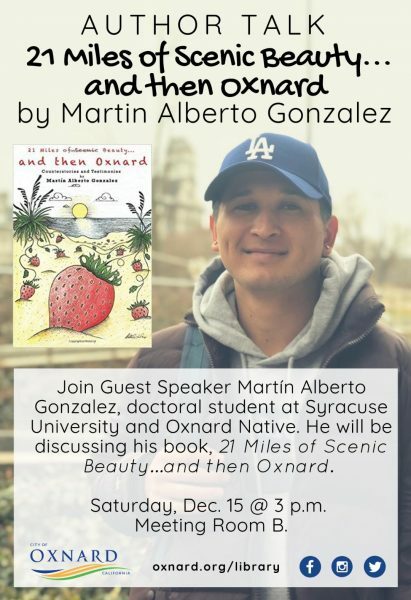 OXNARD, Calif. -The Oxnard Public Library will host local author Martin Alberto Gonzalez. His book, 21 Miles of Scenic Beauty…and then Oxnard: Counterstories and Testimonies takes on Oxnard’s negative reputation head on through a series of social justice-oriented stories loosely based on Martin’s own experiences and observations, growing up in the city. Using counter storytelling and testimonies, Martin sheds light on various social problems directly impacting his community, such as poverty, inequitable access to education, segregation, as well as the potential effects of gentrification. Martin Alberto Gonzalez is a Xicano raised in Oxnard. He completed his undergraduate studies at California State University, Northridge. Currently he is a doctoral student in the Cultural Foundations of Education Department at Syracuse University, where he became the first Ford Foundation Pre-doctoral Fellow in the University’s history. Martin will speak on December 15, 2018 at the Downtown Main branch at 3 p.m. His book will also be available for purchase through the libraries gift shop.